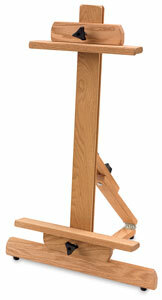 This Single Mast Tabletop Easel from American Easel is quality made in the USA of solid oak. 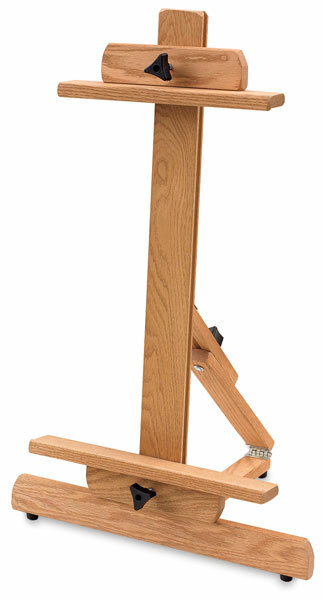 Lightweight, sturdy, and portable, it's great for small spaces and temporary setups. Measuring 28"H × 18"W × 15"D, it can hold canvases up to 20" high. It folds flat for easy storage.